Dr. Peter Ng is an emergency doctor from Hong Kong. 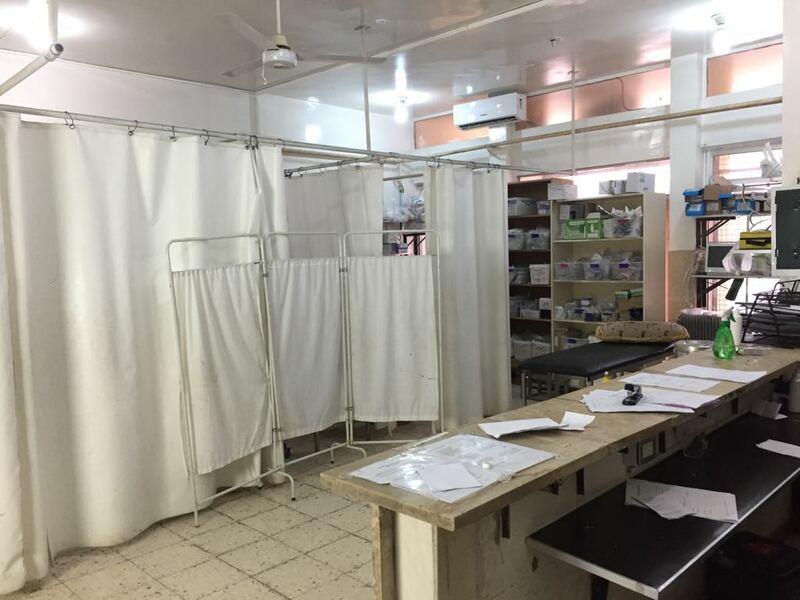 He started his first MSF mission in June 2017 in Hammam al-Alil, a town south of Mosul, Iraq where he provided surgical care and attended the medical needs of those displaced by the conflict. 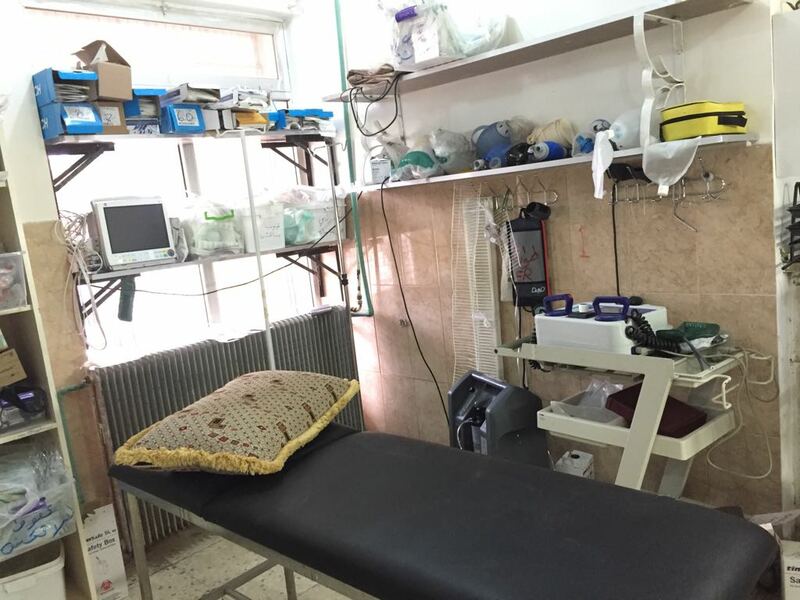 In December of the same year, he went to Northern Syria and joined the MSF project in Tal Abyad. That was the label they indicated on my phone when I first arrived in Tal Abyad. It meant that I was in charge of the emergency room of the hospital. It meant that first-line treatment of all the patients fell on my shoulders. We received a lot of patients in Tal Abyad. Some were young children or women who got burned by kerosene heaters. Some were young men who got involved in road traffic accidents. But the most striking cases were those we received from Raqqa. Raqqa was heavily invested with mines, booby traps, and IEDs, so-called as remnants of war. Almost every day, we received patients who returned to their homes in Raqqa for the first time after several months of being displaced by the war. They look around, find everything normal, but then, they open their refrigerator, and an explosion just goes off. We received lots of young men who lost their arms and legs to these explosions. But at least, most of them could still consider themselves lucky, simply for being alive. Unfortunately, even if some of them managed to avoid getting injured by the remnants of war, they still suffered, this time from diseases. Compounding the problem is the lack of money to travel to the hospital. There was one such patient, let’s call him Patient A whose case and situation touched me. He was ten years old. He was suffering from abdominal pain and had no bowel opening for almost three weeks when he was finally brought to the hospital. He was malnourished and dehydrated when he arrived. The x-rays of his abdomen confirmed my clinical suspicions -- he had intestinal obstruction. We operated on him and we suspected that he had tuberculosis of the ileocecum complicated by a retroperitoneal perforation of the ascending colon. He was very ill. He was so dehydrated and malnourished that you could see all of his ribs. His blood pressure was unstable. He needed intensive care, but we could not provide it for him in the hospital. Sadly, there were no other hospitals we could send him to. When I saw him the next day, his pulse was very fast, but the anesthetists told me that he was responding to fluid. Later that night, he developed difficulty breathing. It was due to acute respiratory distress syndrome. I was called back to the hospital at five in the morning to see a 10-year old boy, who was as thin as a skeleton, gasping for air and barely conscious. His father stood by his side and watched with teary eyes. He glanced at me when I entered the room. But, there was nothing more I could do for him. I gave him all the required medications but what he needed was a ventilator. We tried to arrange a transfer to another hospital four hours away, but I was skeptical if he could survive the journey. At six in the morning, he had cardiac arrest. We started CPR while his father sat down and watched us. But it was no use because we could not treat the underlying cause. He passed away half an hour later. ”I'm sorry. I'm sorry. I'm sorry.” That was all I could say to his father. He thanked me, told me I was a good doctor. But I sure did not feel like one at that moment. I was just glad to be wearing a surgical mask. It helped me hide my tears as I wrote down how his son died.